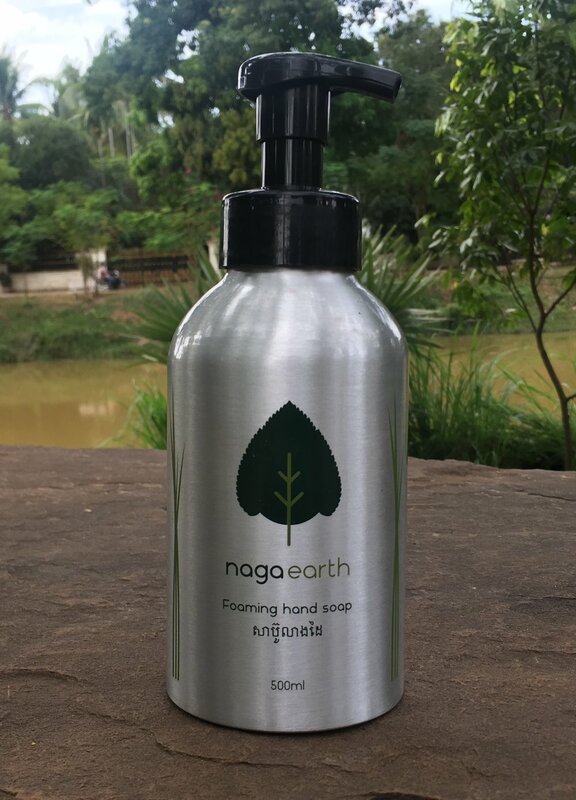 Naga Earth was established in 2008 in Siem Reap, Cambodia. Our mission it to protect the environment and to improve public health. We realize this mission by operating environmentally friendly recycling projects and by producing hygiene soap that is distributed to the local community. We recycle used coking oil and convert it into clean burning biodiesel. This addresses key environmental and health concerns as used cooking oil is frequently re-used by street vendors or discarded down drains, creating health and environmental problems. The end product is then sold to local businesses and NGOs as a more environmentally friendly diesel alternative. We covert the glycerin bi-product, into biodegradable soap, a product suitable for a variety of uses, notably personal care and hygiene. We are developing hygiene programs and are distributing our soap to local non-profits. One of our newest projects. We are collecting plastic straws from restaurants and hotels around Siem Reap. We bring them to our factory where they are cleaned, shredded and then molded into new long lasting and usable items. 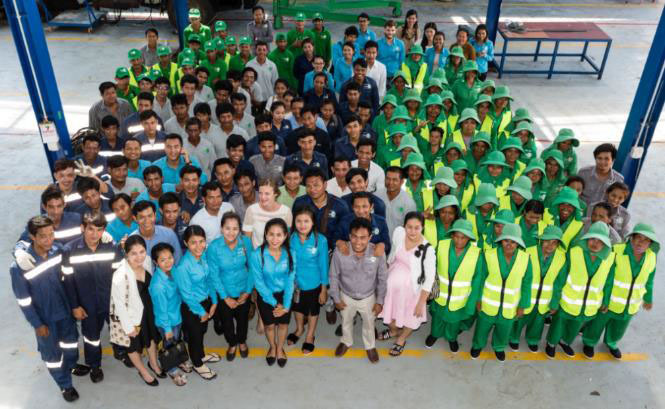 We offer recycling workshops to local non-profits around Siem Reap as well as to restaurants and hotels that work with us. Participants learn how to recycle paper, plastic and used cooking oil. Naga Earth is partnering with Gaea, our local rubbish collection company to establish the first glass recycling project in Siem Reap. Glass bottles will be collected from local restaurants and hotels, brought to the Gaea facility and pulverized into sand. Naga Earth is always looking for volunteers to help run our project. How about joining our team?